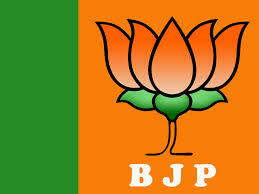 To prepare the party’s strategy for coming Lok Sabha polls, top BJP leaders from across the country will assemble in New Delhi for a three-day brainstorming session from January 17. After top party leaders attend the day-long National Executive meeting, party workers from across the country are expected to attend the two-day National Council meeting at Ramlila maidan. BJP Vice President Mukhtar Abbas Naqvi said the three-day national executive and council meetings will discuss issues related to social, political, economic, national security and internal security. “It will have a detailed discussion on the success of ‘mission good governance’ under the leadership of Narendra Modi in the coming Lok Sabha elections,” he said. The party will bring two resolutions – a political and an economic and an assessment of Congress-led UPA government’s performance. Sources said while the political resolution will focus on the “mis-governance” under UPA government hit by a series of scams and present itself as a strong alternative to the Congress at the Centre. It will also focus on neighbouring countries, foreign policy, internal security and corruption. The economic resolution will focus on the “poor” state of the economy under UPA which has “hampered” growth and investment in the country. While highlighting the “bad” policies and inflation under UPA that harmed the business community, farmers and the labour class, BJP will put forth its own vision to help India emerge as an economic power and restart the investment and growth cycle. Naqvi said the National Executive meeting will begin at 11 am at NDMC Convention Centre and the National Council meeting will start at 10 am the next day and conclude on January 19 evening.